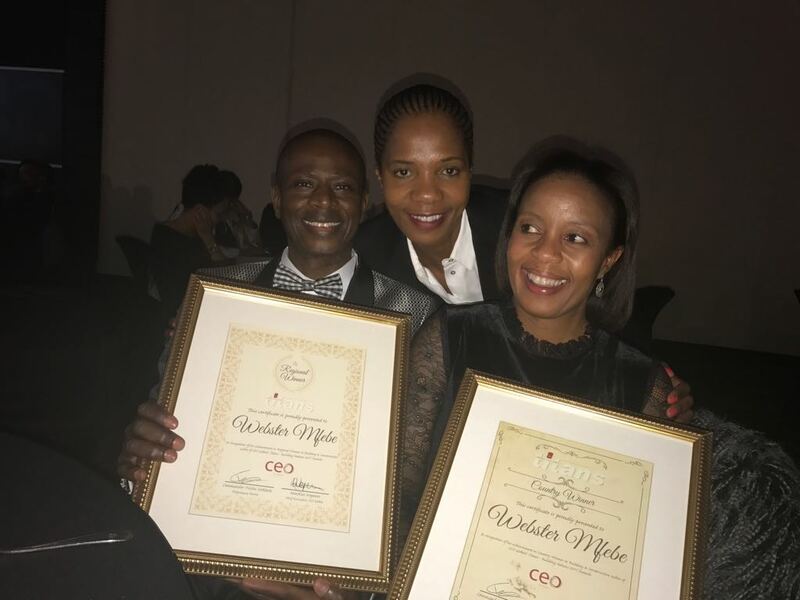 Africa’s Most Influential Women in Business and Government and Titans: Building Nations, recognition for African leaders took place at Premier OR Tambo Hotel on the evening of 3 August 2017. The awards are the leading African recognition programme honouring excellence in the private and public sector. The programme covers 23 economic sectors and has for the past seventeen years independently recognised those leaders who are at the pinnacle of their industry. The SADC South leg of the recognition programme is the first part of CEO Global’s recognition programme that takes it around the continent to 8 regions. In each of these regions, country and regional winners are identified. The regional winners automatically qualifying for the Continental Awards ceremony to be held in Johannesburg on 1 November 2017, where the continent’s leading man and woman from each of the 23 economic sectors will be selected from the regional winners. The mission of the awards is to identify and recognise Africa’s most influential male and female leaders. The nomination process for the Awards is an open process with no professional body affiliation required. Nominations are obtained from the business community and individuals during a nomination window which opens on 1 September and closes 31 December each year. During the course of 2016, just under 4000 nominations across the various sectors were received from across the continent for the 2017 awards. The judging panel comprises leading figures from the business and public sector that have excelled in their own right and understand the demands made upon contemporary leaders. The judging process consists of three tiers and is comprised of 24 representatives from across Africa. None of the judging panels are remunerated for their work and CEO Global extends its sincere thanks to Yvonne Finch (chairperson of the panel) and all the judges for the work they have done and the time they have sacrificed to make the programmes a success. Broadly speaking the judges look for candidates who have made an impact on the profitability/sustainability of their organisation or that of their employer; played a leading role in the development of their sector; willingly developed those around them and invested of themselves in the upliftment of communities.